Power Of Produce (POP) Club is a free kids program that will run at Hollywood Farmers Market in 2019, from Saturday June 8th through Saturday August 31st. POP Club is designed to empower kids to make healthy food choices, introducing them to where their food comes from through fun activities. Kids, aged 5-12 come to the POP Club booth between 9am and 12:30pm on market day, located in Hancock Street toward the east (45th Ave) entrance to the market. Fill out their POP Club passports if this is their first visit to the booth. Participate in activities based around food, nutrition and food growing. 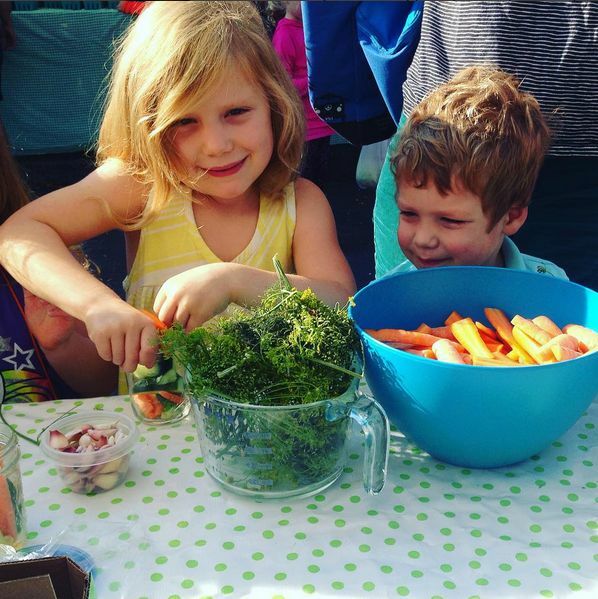 At every POP Club market you can find activities such as produce tastings, salad-making, scavenger hunts, games and more! Receive $2 in POP Club wooden tokens EVERY time they come to market during the POP Club season!